Needi Naadi Oke Katha has received warm welcome from the audience. With positive reviews from critics and good word of mouth the film has been running successfully with houseful theaters. 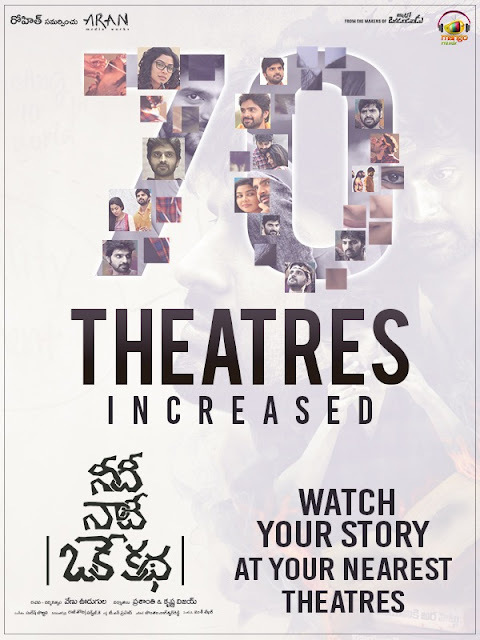 70 extra theaters have been added across Telugu states on third day with increasing public demand. NNOK has already entered profit zone with good collections in the first weekend itself. NNOK collected a share of Rs 1.90 cr all over the world with 1.60 cr in Telugu states and Rs 30 lakhs in overseas. Makers spent 2.25 cr on the film including publicity and it has fetched them 2.30 cr. Hindi dubbing rights are sold for 40 lakh and Satellite rights are yet to be sold. Thanks to Sri Rama Navami , NNOK is continuing its dream run on Monday too. Director Venu Udugula's poetic narration of Father-Son's emotional subject and Sri Vishnu's terrific performance are the major assets of the movie. Suresh Bobbili's music also helped the film in its success. Satna Titus paired Sri Vishnu in this film produced on Aran Media & Sree Vyshnavee Creations.